you can buy online from our drug tests retail shop. 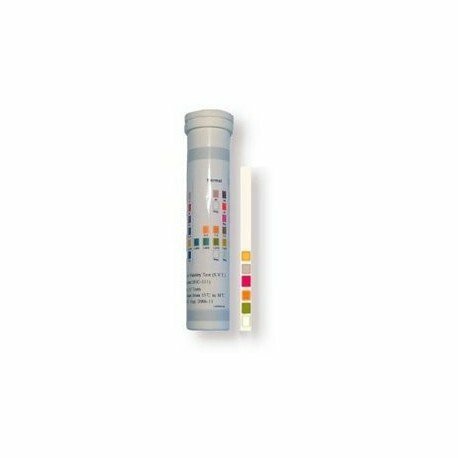 These strips measure the standard parameters of urine samples, such as creatinine, pH, etc..
verify that the urine is of sufficient quality to practice a drug testing (in the case of clear urine, for example). verify that the urine has not suffered unusual changes or adulteration designed to falsify urine samples for drug testing. Dip a strip for 1 second in the urine sample, and then compare the colors obtained with the color chart printed on the tube.